As purveyors of traditional fenders we use a combination of modern materials, reflecting the needs of the present day boater. Often after a telephone discussion, we craft bespoke items individually to your needs. Please feel free to phone for an informal chat! This will enable us to supply the right equipment for you, with due regard of any safety issues or other queries that you may have. We are happy to advise you with regard to your requirements. Normally our fenders and decorative rope work are constructed to an established historically accurate ‘norm’ with regard to size, in relation to type, weight and displacement of vessel and placement of chains for securing purposes. In addition to conventional craft on the inland waterways of Britain, we have been engaged to equip more unusual craft in different parts of the world. For example, as well as the more common Thames Whalers, Dutch barges and large passenger steamers on the River Thames, we have also provided for Norwegian fishing boats, large motor cruisers on the Great Lakes of Canada and the USA, a converted ‘junk’ in Hong Kong harbour, a Japanese hotel boat and a 250 tonne coaster in Peru. No job is too big, or, too small! 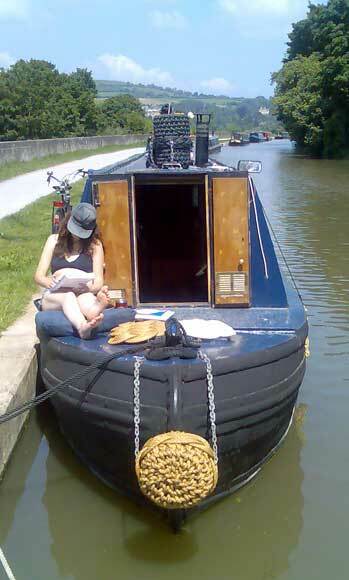 Narrow boats and wide beam vessels on the inland waterways are well catered for, as we have a wealth of experience relating to newly constructed boats, and more traditional older boats, such as working boats, butty’s, Bantocks etc. Hence the decorative rope work serves its practical purpose as well as looking good, enhancing the owners pride and joy! The types of rope that are used vary according to the intended use, but natural materials are hemp, manila, unblended white cotton and sisal. Modern manmade materials are made from polypropylene which is either mono-filament, multi-filament, staple spun or yarn construction. Standard fenders come in black or natural colours.